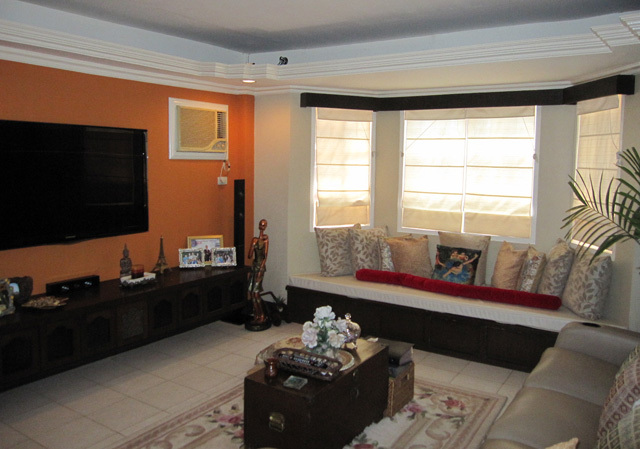 Live on this spacious 300 sqm 3 BR Mactan house 330. Enjoy watching your favorite TV/movie in the huge entertainment room; relax by watching the koi pond; cook your most delicious and nutritious meal in the stainless steel kitchen countertop and best of all appreciate the value of antique furnishings. The house has 2 car garages. It is located inside a well-managed village in Barangay Paiac Lapu-Lapu City. It is built on a 240sqm lot. Floor area is approximately 300 sqm (3210 sq ft). Amenities inside the village includes 24/7 security patrols, clubhouse, swimming pool, basketball court, park and playground. Mactan International Airport is 25 mins away, Mactan Beach resorts such as J.Park Hotel, EGI, White Sands, Maribago Blue Waters is 5-10 mins away.